Coming of age in Queen Elizabeth’s reign, and developing her voice as a writer in the court of Queen Anna of Denmark and King James I, Lady Mary Wroth stands out as an early modern woman and author who navigated the cross-currents of court politics through the familial framework of her identity as a Sidney. In her poems, plays and prose romance, Mary Wroth represents intersecting networks of intergenerational bonds that at once reproduce and transmute familial prototypes, both within and beyond the political boundaries of the court. 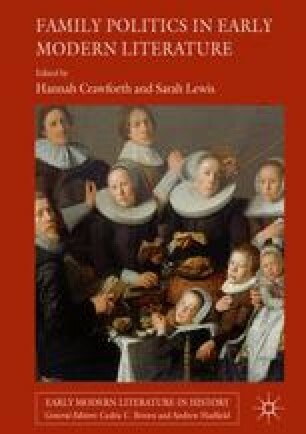 My chapter juxtaposes the facts of Mary Wroth’s identity with familial narratives running through her works, in order to consider how Wroth negotiated the boundaries at once distinguishing and linking family and politics in early modern England.